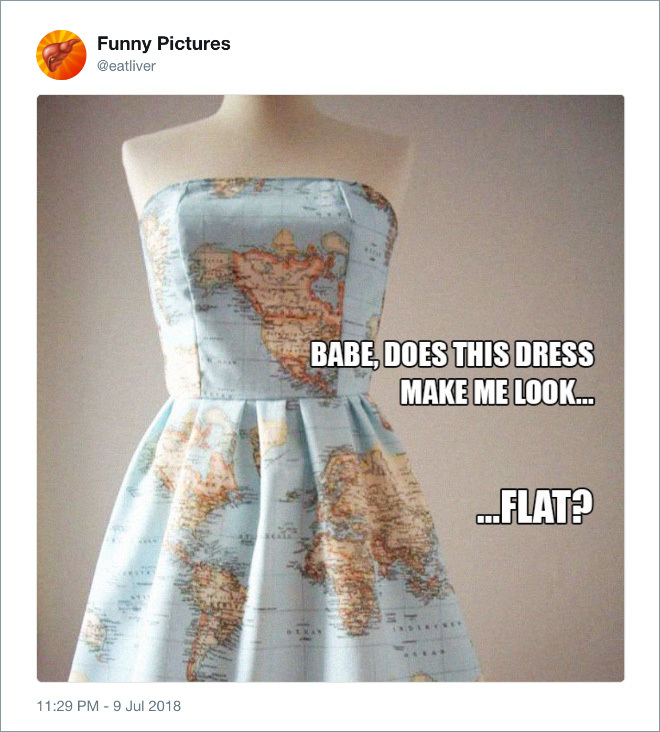 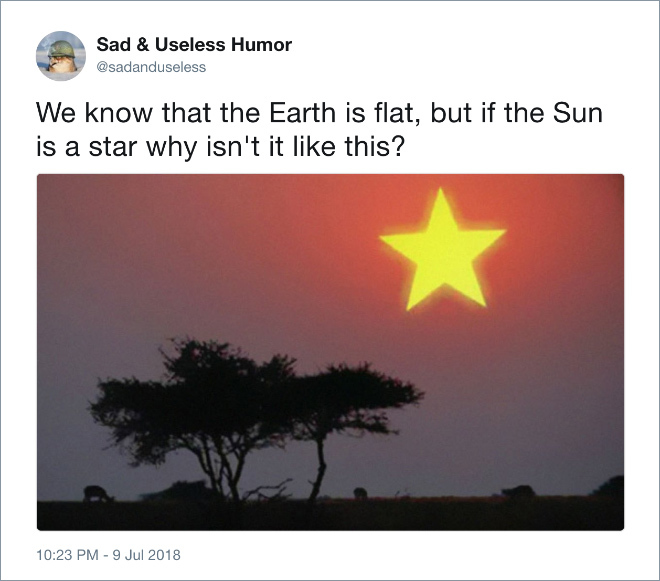 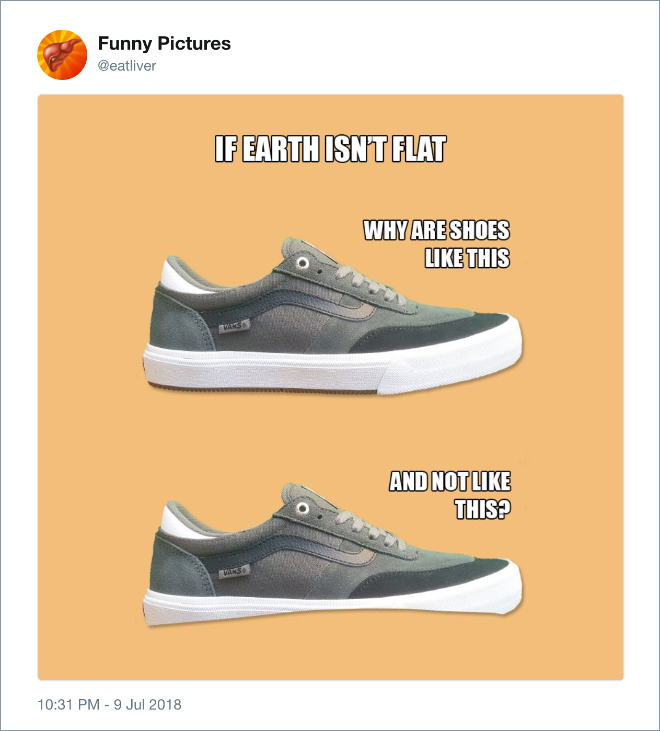 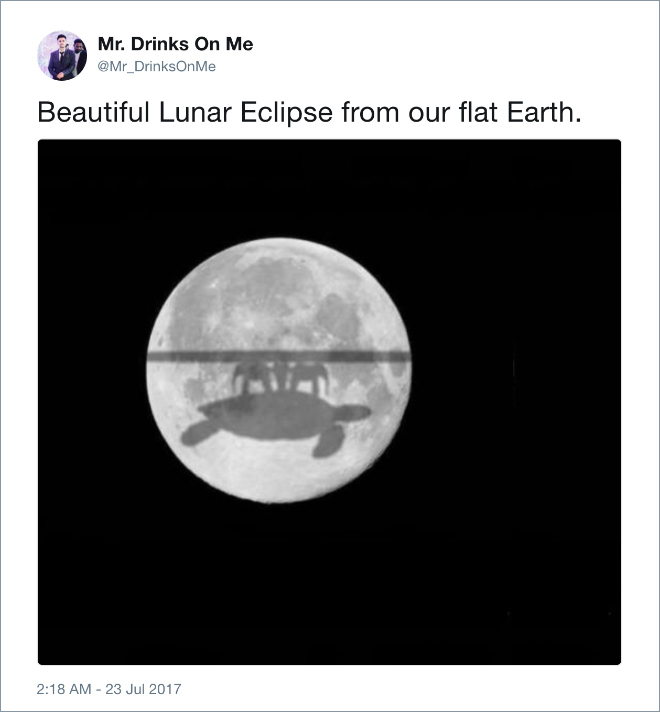 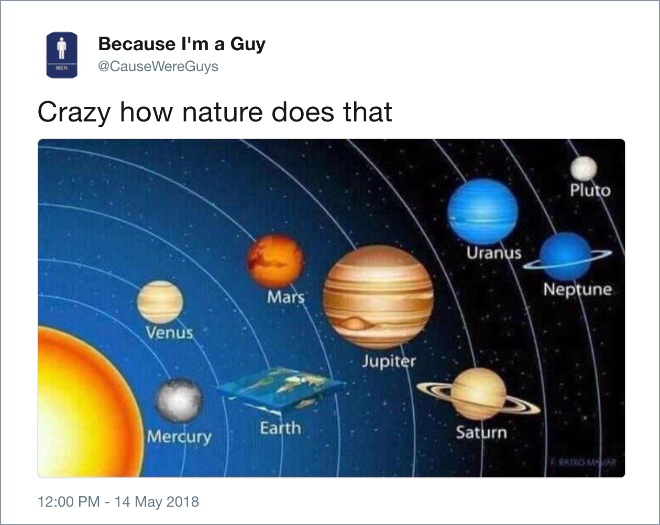 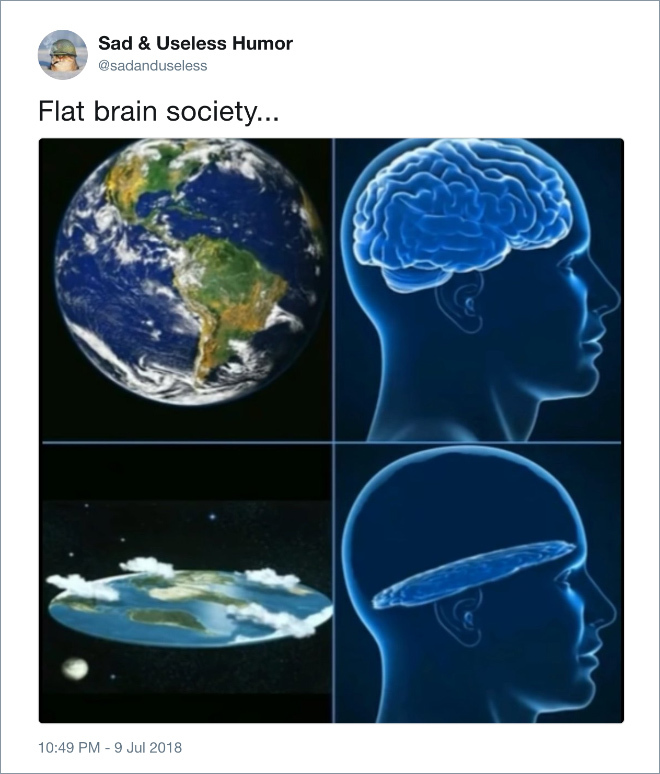 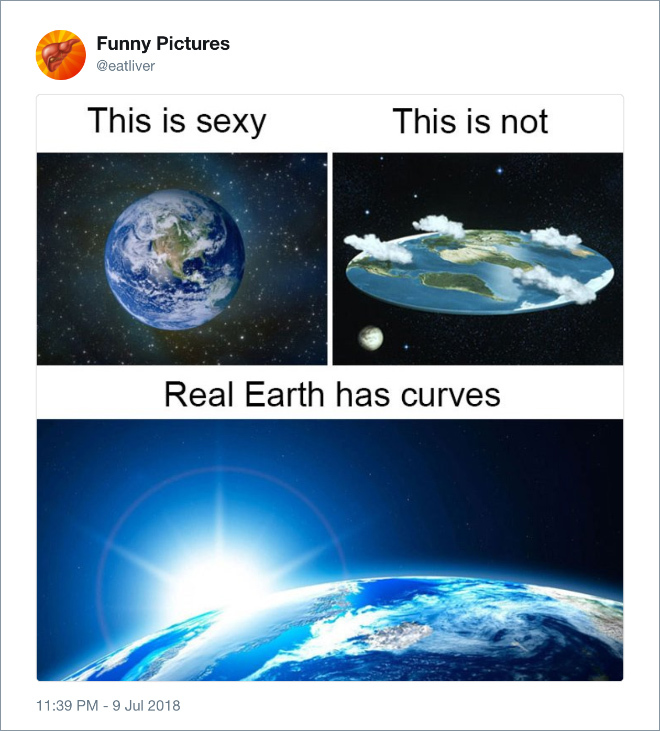 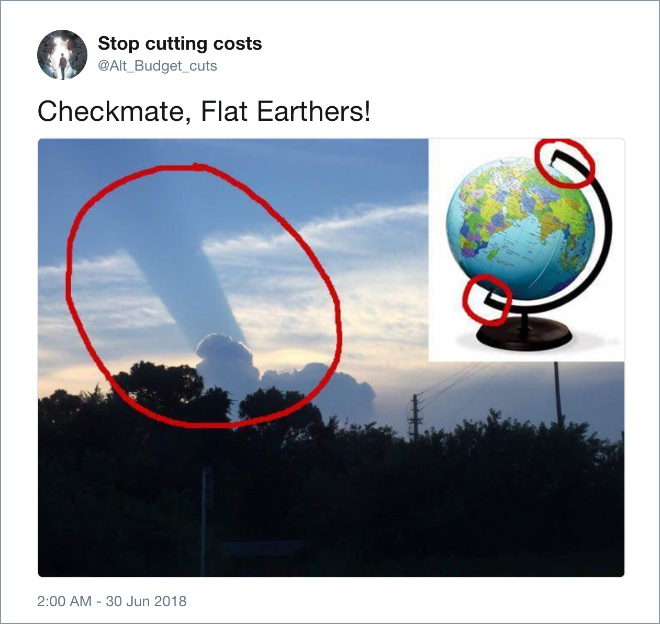 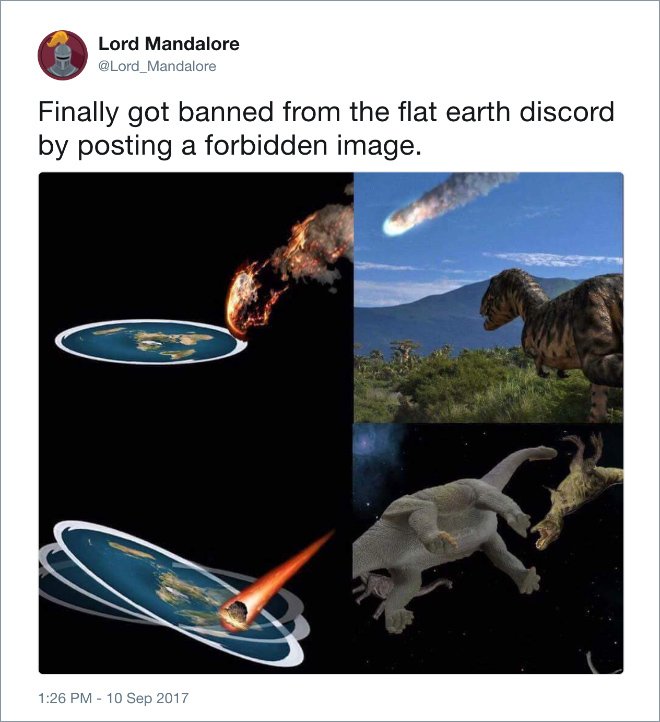 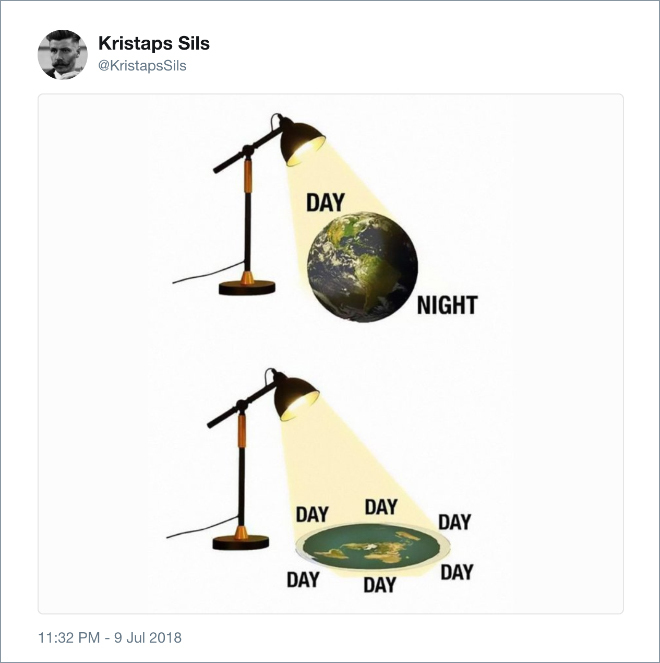 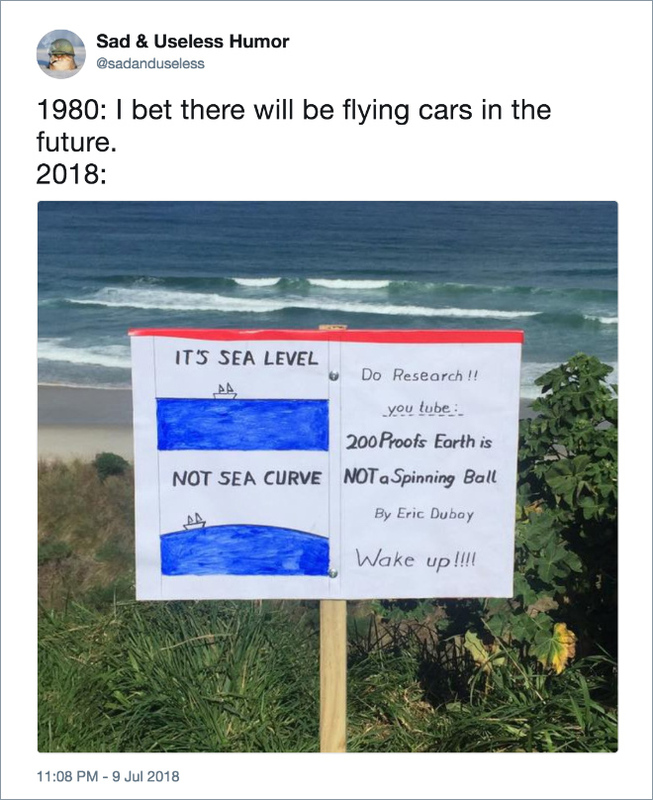 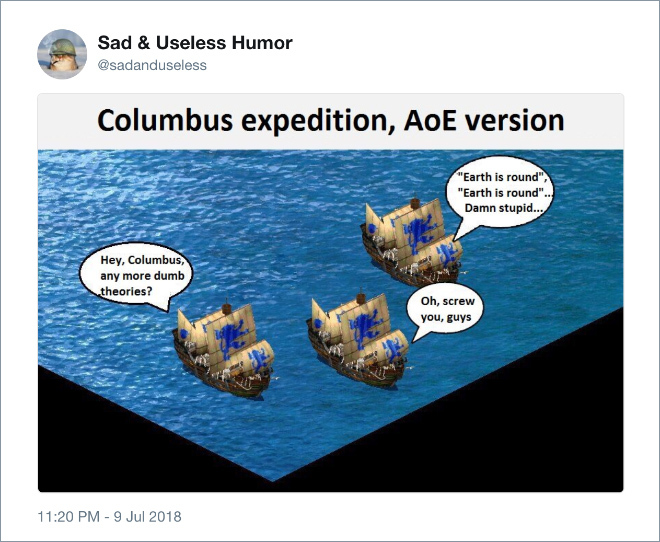 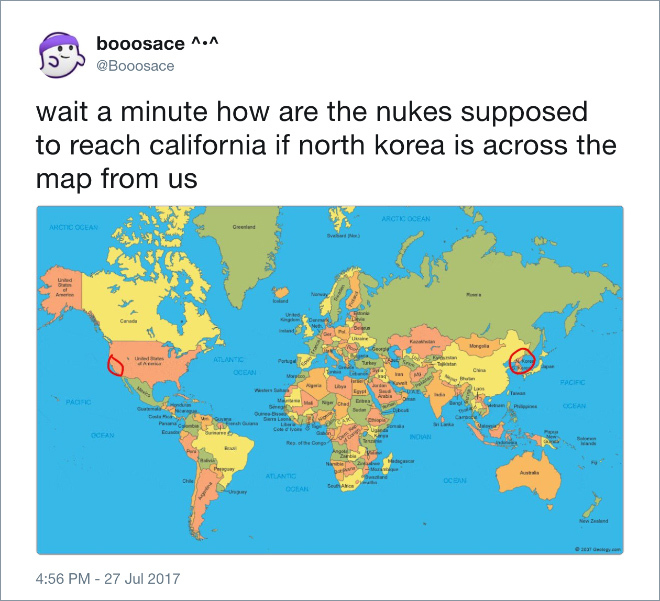 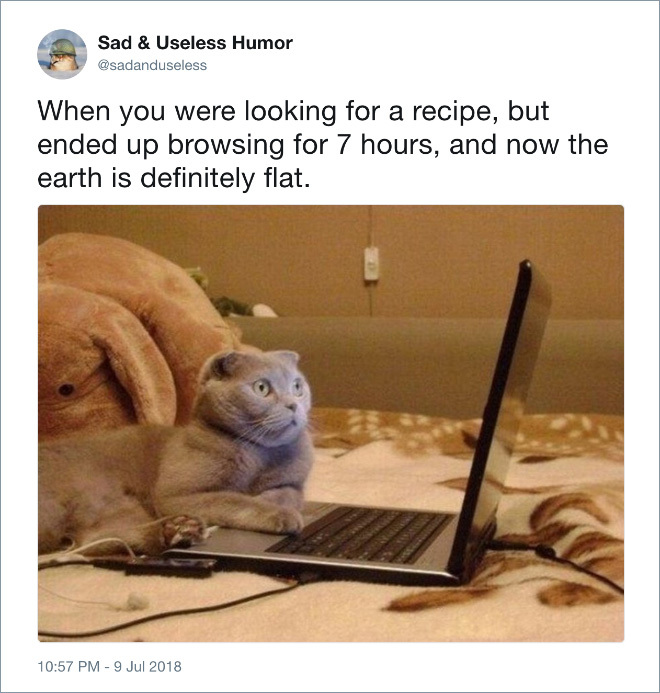 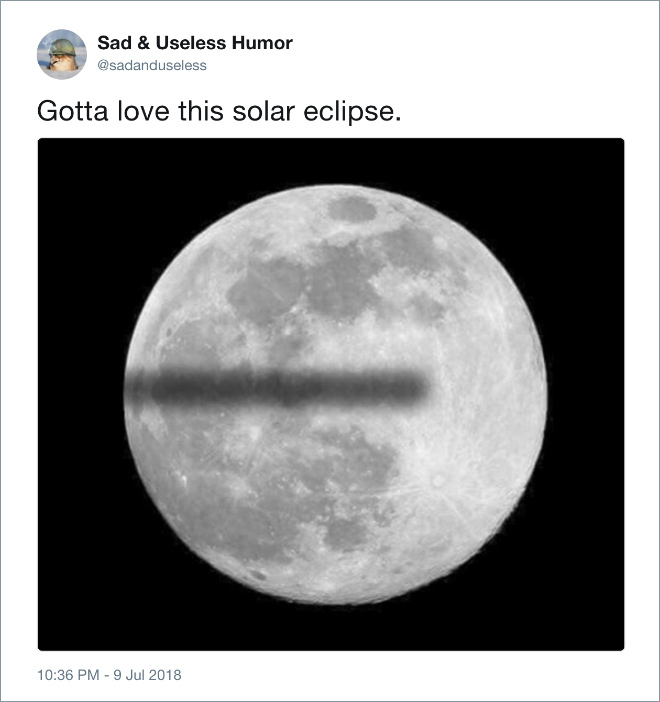 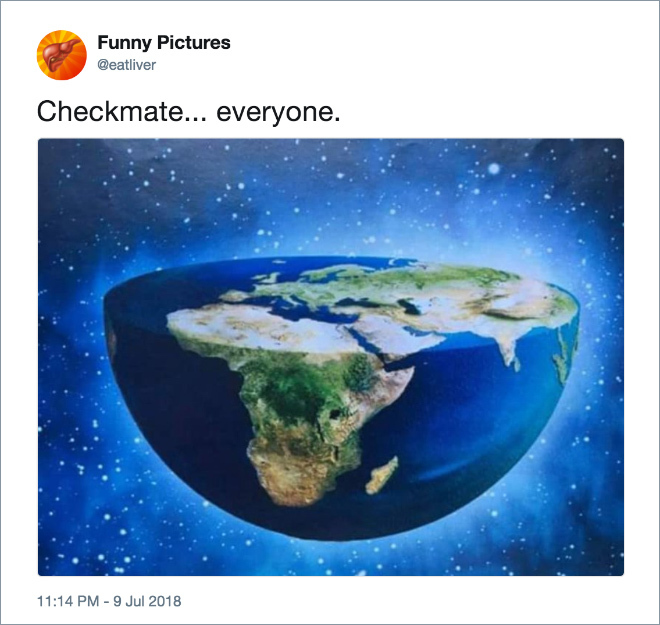 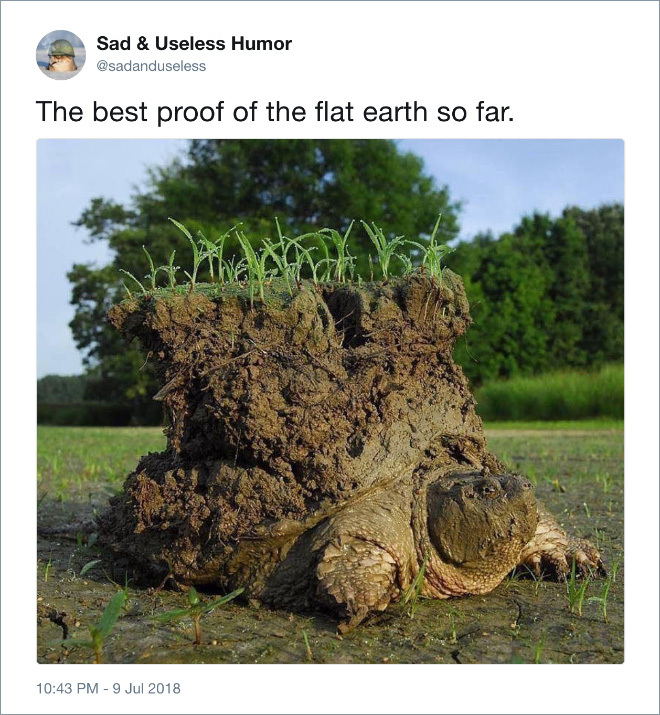 Despite overwhelming scientific proof, flat-earthers are out there spreading their absurd ideas. 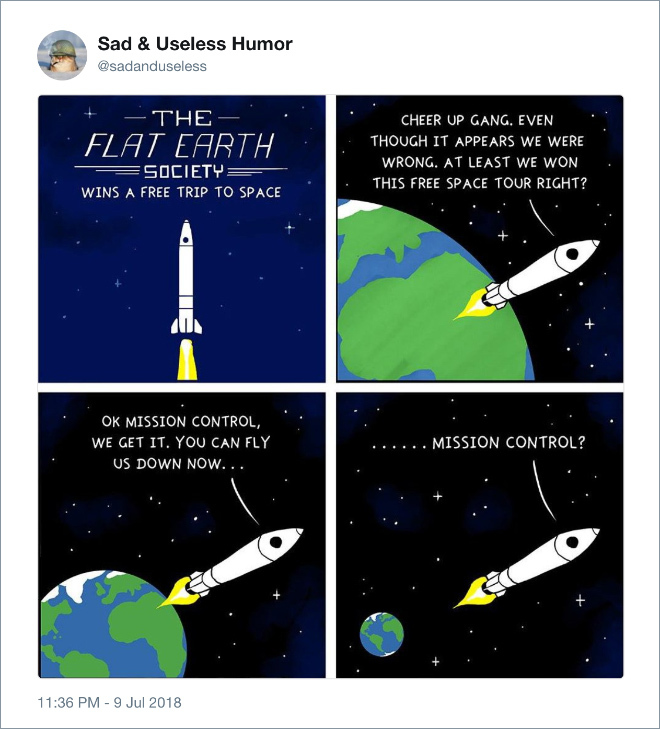 Some have even gone so far as to create an official organization known as The Flat Earth Society. 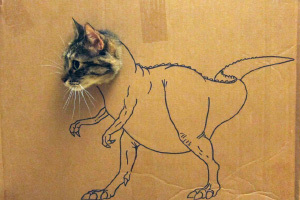 The internet is unmatched when it comes to making fun of wacky ideas, so here’s a list of the funniest examples.